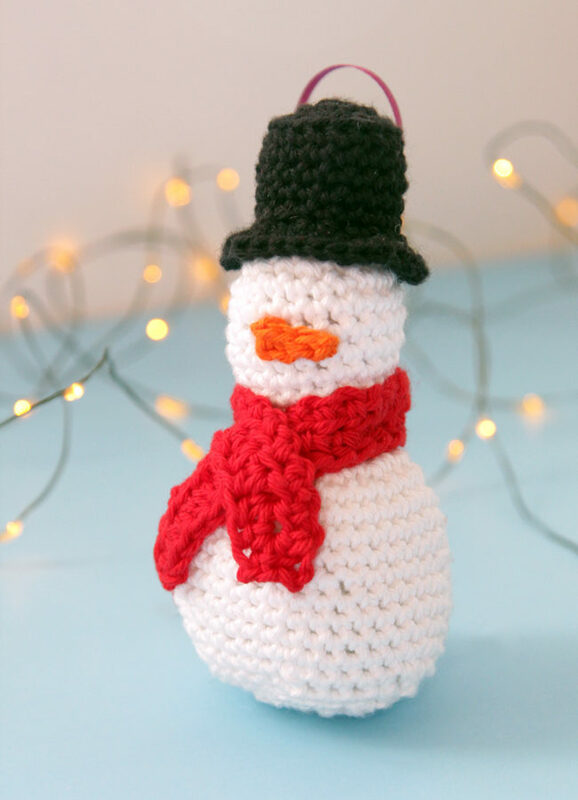 Get a free pattern for this crochet snowman Christmas ornament. 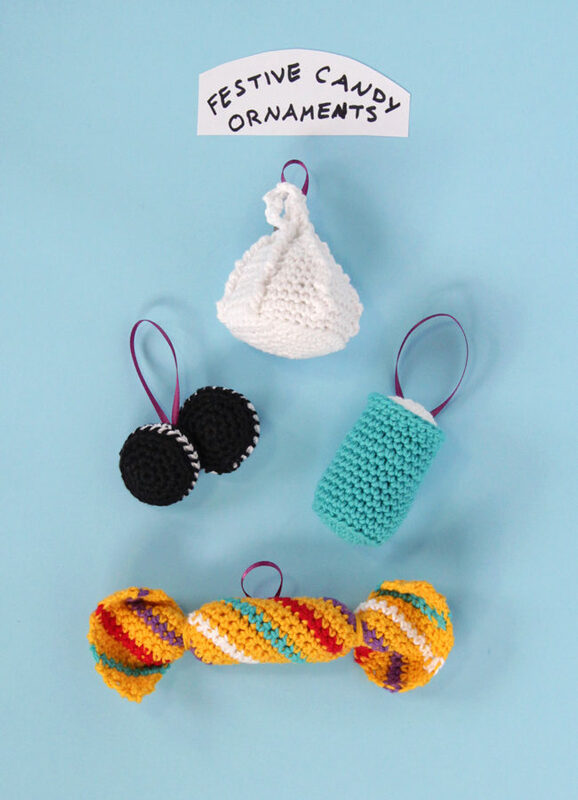 Practice your amigurumi skills with this fun pattern! 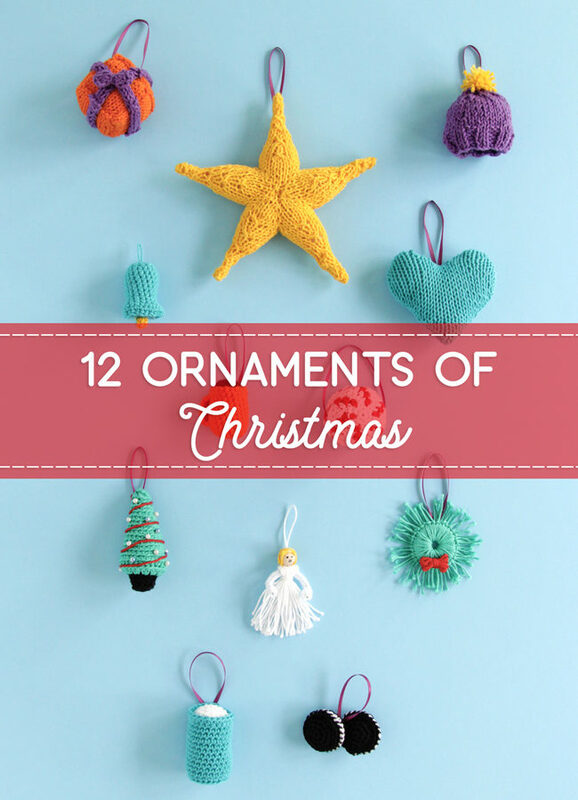 Christmas comes just once a year – celebrate with cute crochet ornaments! 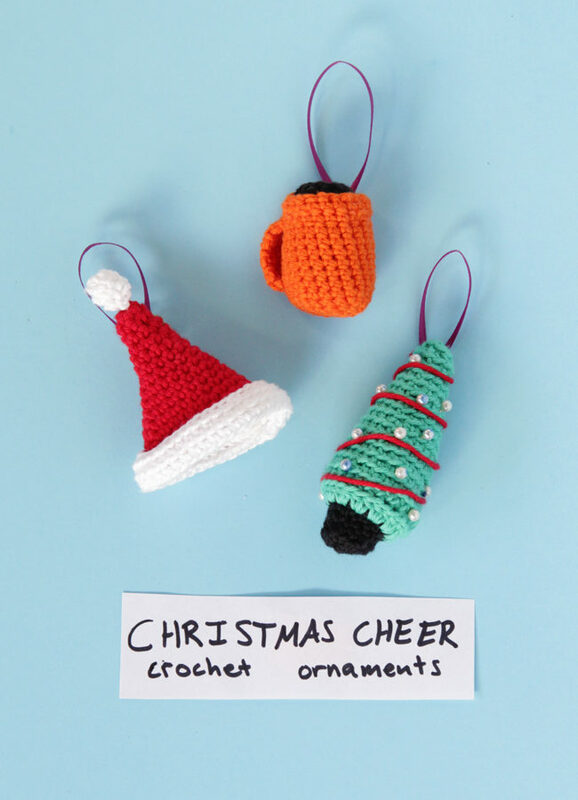 Check out this post for three free amigurumi patterns for a jaunty Santa hat, cheery mug & a sweet mini Christmas tree ornament! 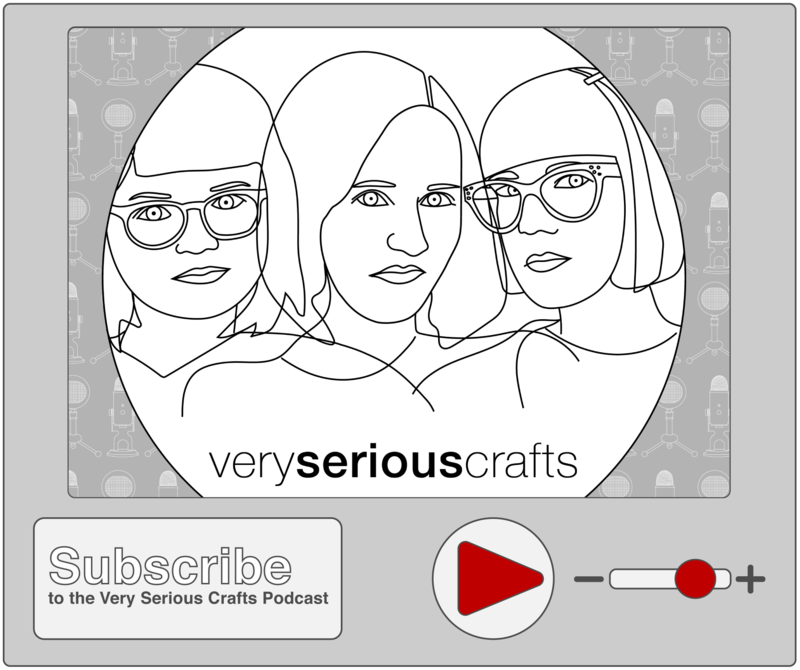 These ornaments are inspired by holiday treats, and we’re going way beyond the classic sugar cookies and gingerbread men! We’ve got a super cute little meringue, cookies and milk for Santa and a colorful piece of wrapped Christmas candy to brighten our trees. Santa’s visit wouldn’t be complete without milk and cookies! 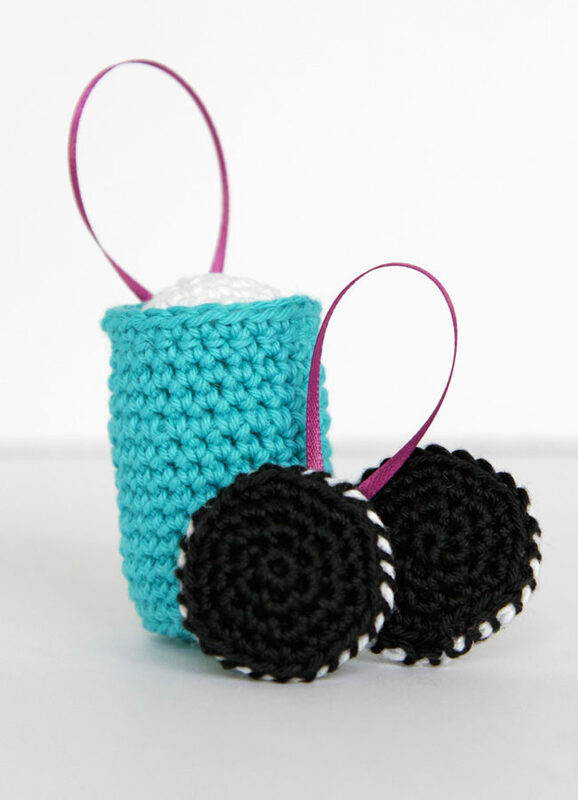 Crochet a quick cup of milk to match the cookie ornament in this series. The two of them add the sweetest touch to any tree. 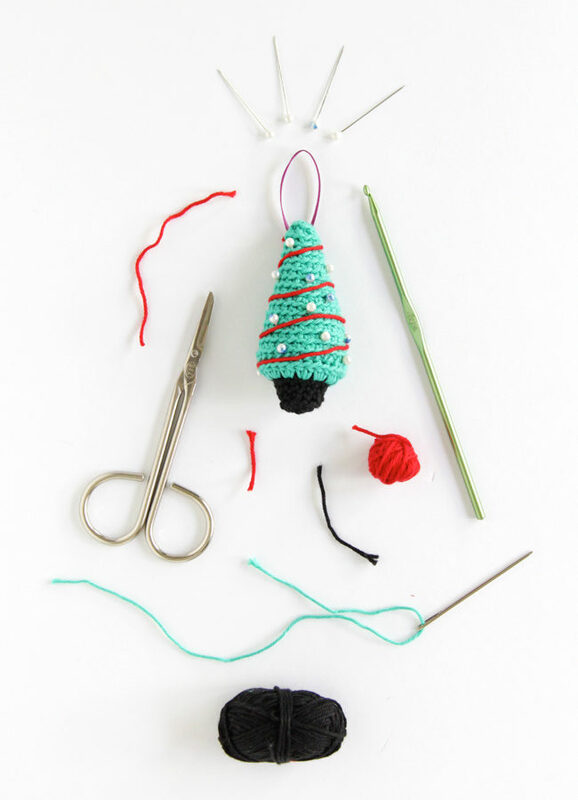 This super festive little tree is so simple, but you can tell right away that it’s supposed to be a Christmas tree. 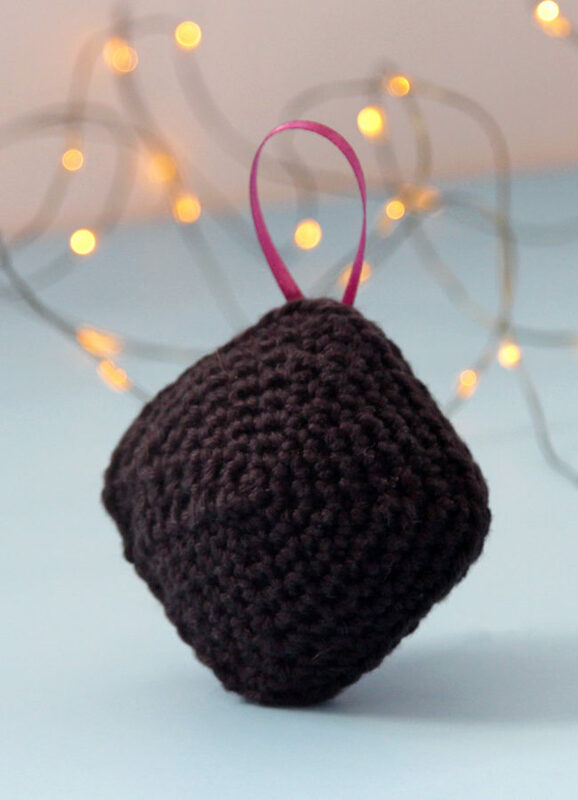 Decorated with scrap yarn and simple straight pins, this little crochet ornament comes together quick! 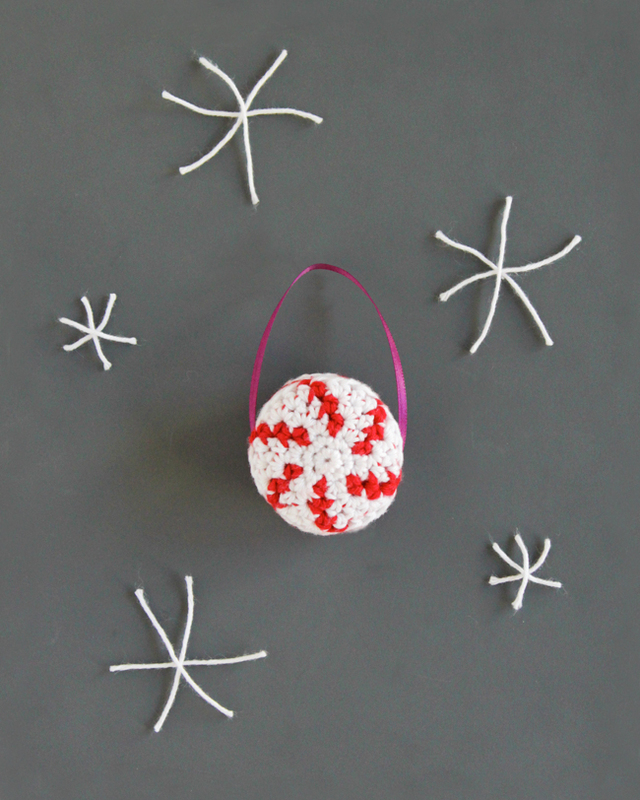 Shifting gears to explicitly holiday vibes is the seventh ornament in our series, a crochet peppermint.